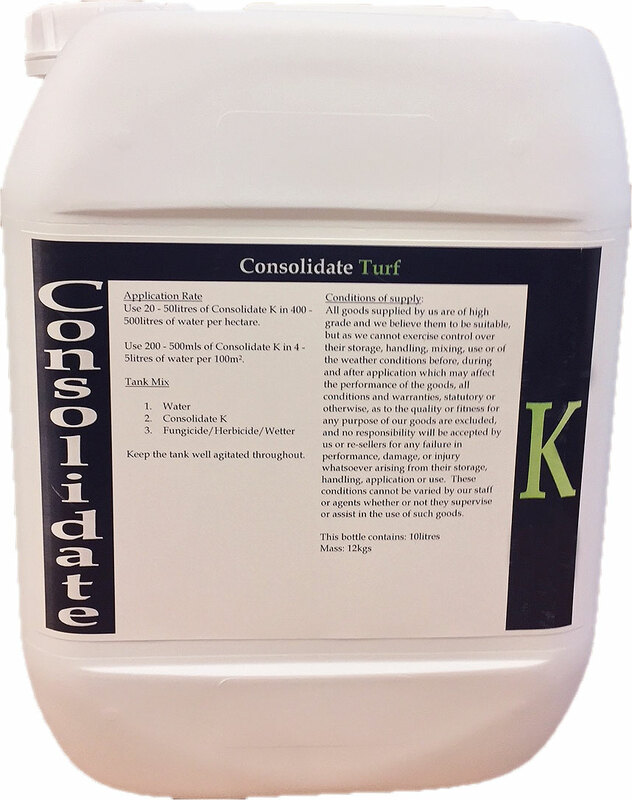 Consolidate K supplies additional potassium nutrition when the soil reserves and the plant roots are unable to. 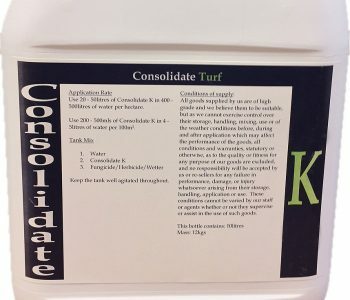 Applying Consolidate K gives the plant a readily available source of potassium for everyday chemical processes. 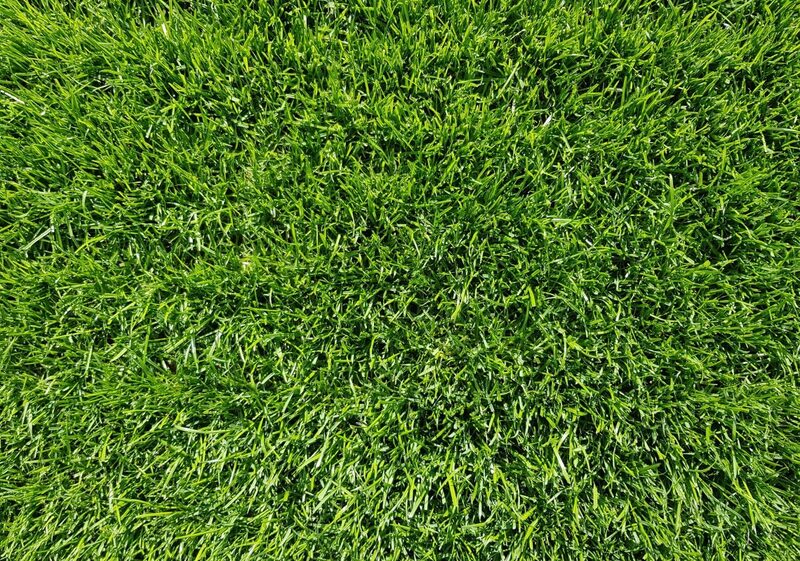 By giving the plant access to a constant supply of potassium, nitrogen efficiency is greatly increased along with shoot and plant development. The plant builds up its resistance to wear and tear, whilst the tolerance to disease, drought and salinity increases. 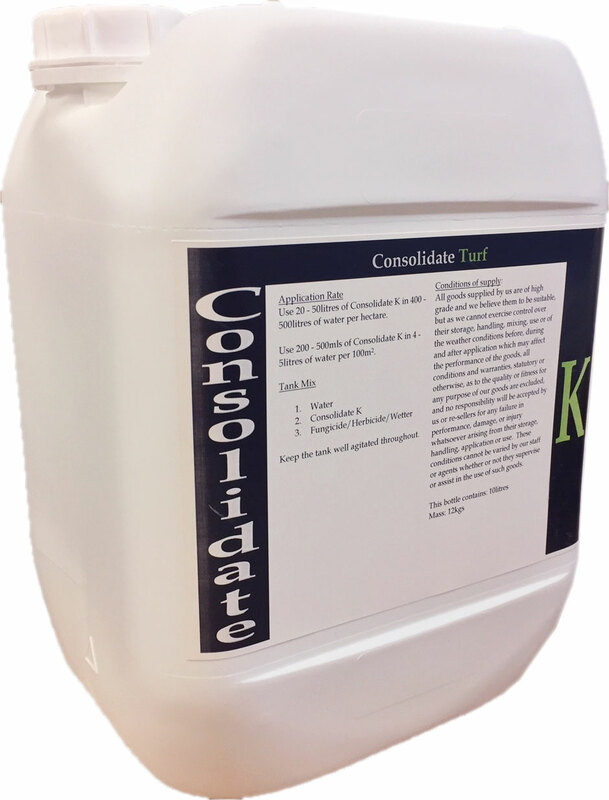 Consolidate Turf products are designed for use all year round providing there is no snow or frost on the ground at the time of application. 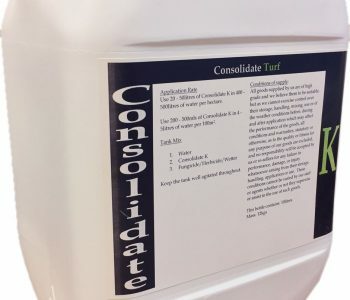 Our products are tank mixable with other Consolidate Turf products and due to the unique chemistry, they can be applied as a foliar or root feed. Ensure all equipment is clean prior to use. When mixing, always start with half water volume and then add the required amount of product for desired area coverage before topping up with remaining quantity of water. Greatly assists in nitrogen efficiency. Increases shoot and plant development. Helps to reduce water loss from cells. Increased plant resistance to wear and tear. Gives the plant a greater resistance to disease. 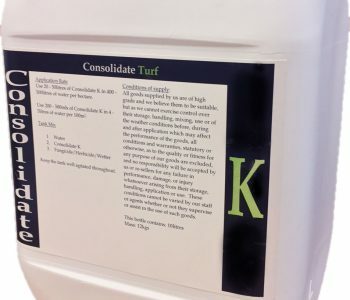 Use 20 – 50 litres of Consolidate K in 400 – 500 litres of water per hectare. 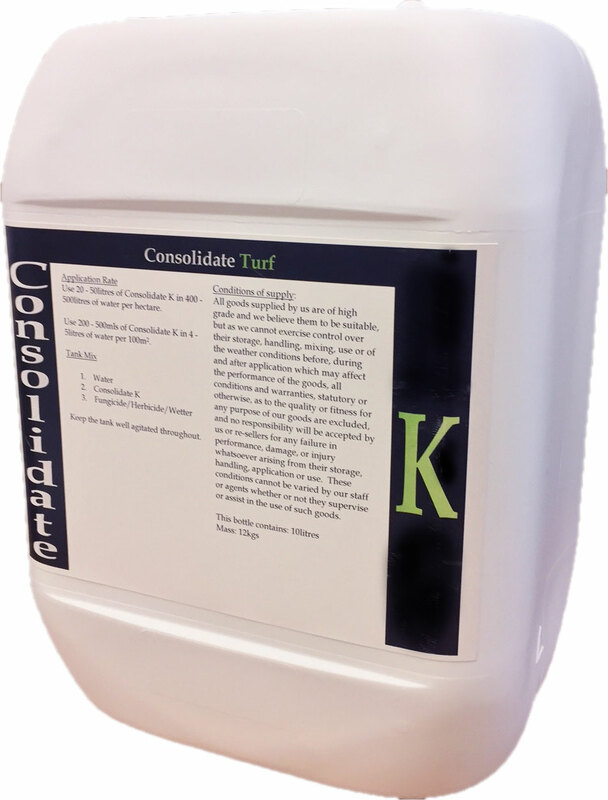 Use 200 – 500mls of Consolidate K in 4 – 5 litres of water per 100m2.